Are you planning a trip for children or a lecture in a class or a club? If so, read on, this website is for you. The tour is for children aged 7-12. Children get actively involved in the tour, the guide explains to them in a playful way with the aid of a real-size touch model and a comic book what a reliquary and relics are, what precious items it conceals and introduces the lives of some of the saints. The route is livened up by several other activities and games and finishes in the safe room with the original St. Maurus Reliquary. You can book a lecture on the St. Maurus Reliquary with us; we can bring the 1:1 St. Maurus Reliquary with us; we can bring the 1:1 St. Maurus Reliquary model to you and adjust the presentation based on the target audience (senior homes, schools, work groups, museums, accommodated guests, councils, etc.). A walk through the premises for the youngest visitors (aged 4-8). 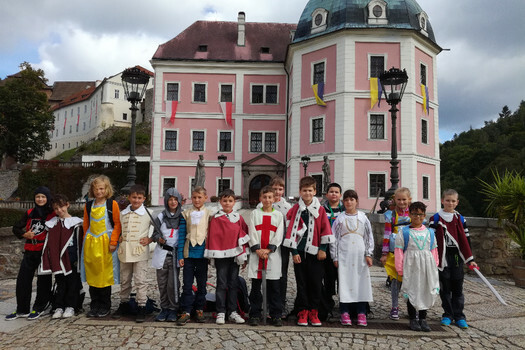 The route is inspired by the Pohádka o bečovském dávnosnění children´s book based on real historical events that you will get when you purchase a ticket, so you can go back to the experience of the Bečov chateau visit anytime. The tour of the chateau interiors is extended to the gardens, a rock adit and a "secret" staircase ending in the sala terrena where there are historical costumes ready to be tried on, samples of traditional cutlery, historical games, etc. All children´s tours are completed by khighting with a certificate for the children to take home. The children can go on the tours in costumes available free of charge in the chateau ticket office (deposit is required). If you wish to borrow a large number of costumes, we recommend booking. Would you like to go back to the experiences of the Bečov Chateau visit? 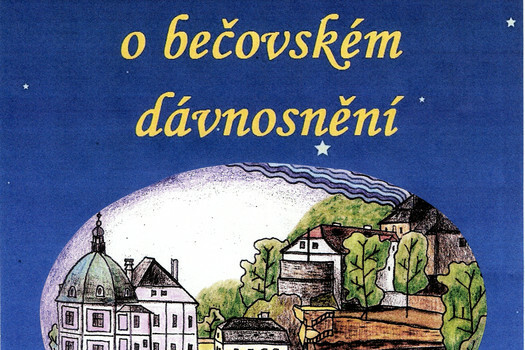 It will be easier thanks to the "Pohádka o bečovském dávnosnění" fairytale book - a tourist guide for the youngest. 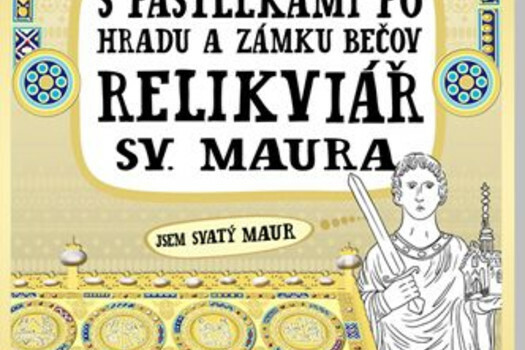 There is a colouring workbook available to older children related to the Bečov Castle and Chateau and the St. Maurus Reliquary.